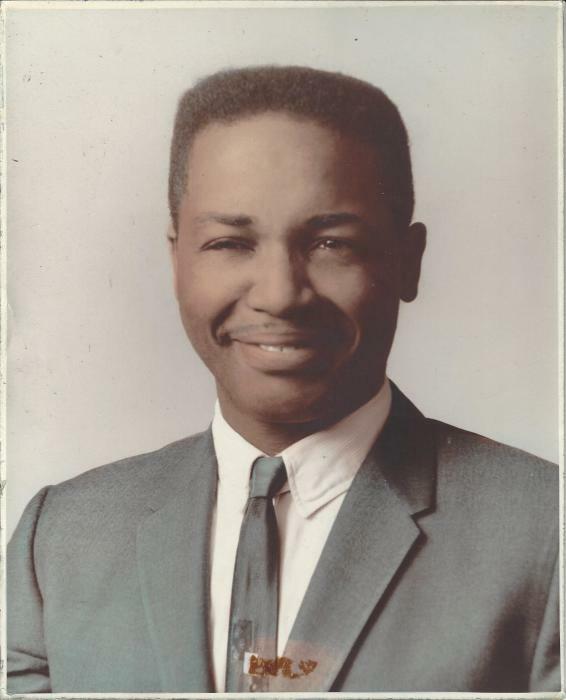 Mr. Robert “Bobby” Marsden, was born on September 6, 1935, to Henry and Malissie Marsden in Shreveport, LA. Robert completed his education in Shreveport, LA. He relocated to Indianapolis, Indiana in 1953. He enlisted in the U.S. Navy, where he served proudly from 1955 until 1959. Robert and Doris M. Sanders Marsden united in marriage on September 26, 1992. He was employed by National Starch and Chemical for 42 years, retiring in 1999. He was a member of Atomic Oil & Chemical Local 7706. He loved to bowl until his health began to fail him. Robert was a great man of reason, who was caring and loving to his family and associates. Mr. Robert “Bobby” Marsden stepped aboard Flight #1, Eternity Bound, on Sunday, February 10th at 9:40 a.m. He fell into a peaceful slumber… which he welcomed. He leaves to his memory of inheritance, his wife, Doris M. Marsden; sons, Robert (Renee) Colbert, Rob Marsden, and Ivan Davis; daughter, Monica Mitchell; sister, Frances M. White; sisters-in-law, Mary Henderson, Carol Young, and F. Marilyn Miles; a host of grandchildren and great-grandchildren, nieces, nephews, and a host of friends.